Mtech Lite uses the ‘figure of 8’ course which is approximately ¾ mile. Used for Formula Renault Driving Experiences. ‘The sprint course at Curborough was formerly a small part of RAF Lichfield where 7 Operational Training Unit, whose task was to train aircrew on Wellington Bombers, were disbanded in June 1945. The Air Ministry eventually sold the entire site for the sum of £240,000 on 1st May 1962. The inaugural sprint meeting took place on 16th June 1963. 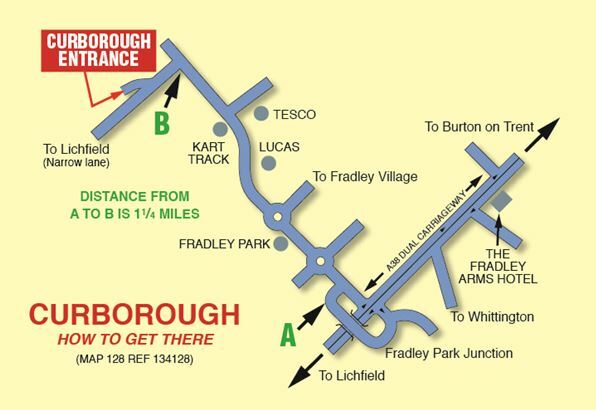 It is situated off the A38 trunk road between Burton on Trent and Lichfield in Staffordshire. The venue is ‘brown-signed’ once you are off the A38, and on the A515 travelling from the west.